Decking, summer houses, pergolas, gates and security solutions. Block paving, small brickwork, patios and minor repairs. 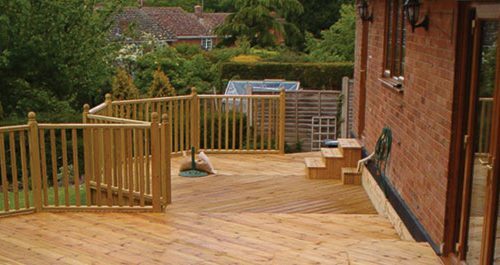 A&G Fencing combine over 40 years’ of experience in the fencing industry in both commercial, industrial and domestic projects. We provide work on a widely varied scale from minor repairs to major construction projects with some of the UK’s largest companies. We also provide associated support work including patios, block paving, brickwork repairs and minor renovation projects.